A California Supreme Court ethics committee is seeking comments on a draft opinion that would allow state judges to hear cases of lawyers whose firms have donated to the judge’s campaigns, just so long as no single attorney trying that specific case has given more than $1,500. Judges would have to disclose the contribution, but could still hear the case. The deadline for comment on either opinion is Nov. 15, and comments may be submitted at the site, or by email, or by regular mail. The draft opinions and invitation to comment are posted on the committee’s website here. The full MetNews story is here. The report also included that “… the Chief said severe state budget cuts had created a ‘two-tier system of justice’ in California, where shuttered courthouses and shorter courtroom hours are ‘basically denying justice across the state. '” The comment continue a consistent message from state court managers that the system is broken and that the losers include lower and moderate income people who need the courts. See video and read more about this particular interview, which includes that the chief justice self-identified as a Republican, here. And that’s just for civil litigation and does not include separate fees for stuff like installation and upkeep. Follow more of the money here. Money is one resource that forces justice rationing, but jury time is another. When Gov. Brown recently vetoed a jury overhaul bill, the focus was rightly on the issue of allowing non-citizens to serve on the panels. Less reported were issues that would reduce the jury size in some criminal cases and virtually all civil trials. But the idea is not really to save money. The fact is that “jury time” is a resource that’s in short supply, and the battle for access mirrors the sorts of decisions forced by the lack of funding. Read the newspaper’s opinion, and other California editorials gathered by the Associated Press, here. Walters piece is bound to get some pass-along traffic in the justice community, in part because it explains that “the Alliance of California Judges, a rebel group, has charged that the state’s judicial bureaucracy has been spending too much money on itself, on a grandiose courthouse construction program and on a statewide case management computer system that proved to be inoperative, leaving trial courts starved for money. “The organization, teaming with court employee unions, has made some headway in seeking more independence for trial courts, despite opposition from Chief Justice Tani Cantil-Sakauye and the rest of the judicial establishment. The Cantil-Sakauye faction has argued that the courts’ problem is not how the money is distributed, but insufficient overall financing. And now it is muscling up to press that argument on the governor and the Legislature by creating its own advocacy organization called the Foundation for Democracy and Justice. It’s a good “clip-and-copy” piece for anyone hoping to explain the situation facing California’s justice system. And his work will no doubt be picked up by affiliated state newspapers. See the opinion here. Anyone worried that the trend toward “public-private” courthouses will have unknown impacts on the justice community was not reassured by the story of Rick Lopez, an iconic coffee-and-sandwiches vendor at the Long Beach courthouse who was left behind by such a partnership. The other location turned out to be at the Downey courthouse, a two-hour train and bus ride from his home. so he wakes up at 3 a.m., dedicating an hour to prayer before heading out the door, according to the Times story. They have found another vending opportunity at the Compton courthouse, but Lopez has dipped into his savings to make the shift. The Times story is one of a remarkable individual overcoming long odds, not about public-private displacement. It still humanizes the recent moves in our justice system. Read the Times story here. Judge Goode was quoted in The Courthouse News coverage of Stephen Nash, who was finance director for the Administrative Office of the Courts for four years and is headed back to the Bay Area to become head administrator for the Contra Costa Superior Court. The report also noted that an upcoming decision on court reserve funds will likely impact how the justice system is operated. Programs like e-filing are going to fall by the wayside, says Judge Goode, if reserves cannot be counted on to help pay costs. Read the Courthouse News report here. 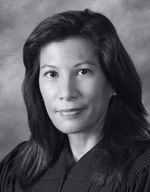 California Chief Justice Tani Cantil-Sakauye continues to make the kind of statements you just know have to eventually fuel legal action: either that or it’s basically okay to offer one justice system to the rich and another to everyone else. In an audio interview with with Scott Shafer of The California Report produced by KQED, the chief justice says the state is “basically denying justice” to people by creating “a two-tiered system.” She also tells host Scott Shafer that Gov. Brown is basically overseeing a sea change in California justice, including moving inmates to county jails or onto the streets. It’s strong stuff and you can listen here. A new non-profit group has been formed to, in the words of its press release this week, “… increase awareness about the relationship between adequate state funding for the administration of justice – at the state and local level – and the ability to deliver equal access to justice for all.” The “Foundation for Democracy and Justice” also says it plans to educate the public about the branches of government, with particular attention paid to the role of the judiciary. In the wake of cutting a billion dollars from the courts budget over the last half-decade, many critics of the cuts have noted that some lawmakers have forgotten that the judiciary is an equal branch of government. The new organization’s initial membership seems to include fairly prominent civic leaders and some high-profile attorneys. 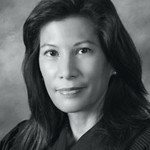 California Chief Justice Tani Cantil-Sakauye and state Attorney General Kamala Harris were announced as “honorary directors” of the group. The Sacramento Bee has a story here. In a move bound to be greeted as anti-labor by union leadership, California Gov. Jerry Brown has vetoed a bill that would have required any courthouse-job outsourcing to include proof that it would actually save money. In effect, unions representing court workers had argued that outsourcing simply moved public money into private pockets. In his veto announcement Monday, Gov. Brown said the bill went too far and required “… California’s courts to meet overly-detailed and — in some cases — nearly impossible requirements when entering into or renewing certain contracts.” He also said “flexibility” was part of his decision. As Courthouse News noted in its coverage, the bill was primarily backed by the California Court Reporters Association and the Service Employees International Union and was considered a response to Placer County Superior Court’s firing of its entire court reporter staff and replacement with private contractors. Read the CN story here.